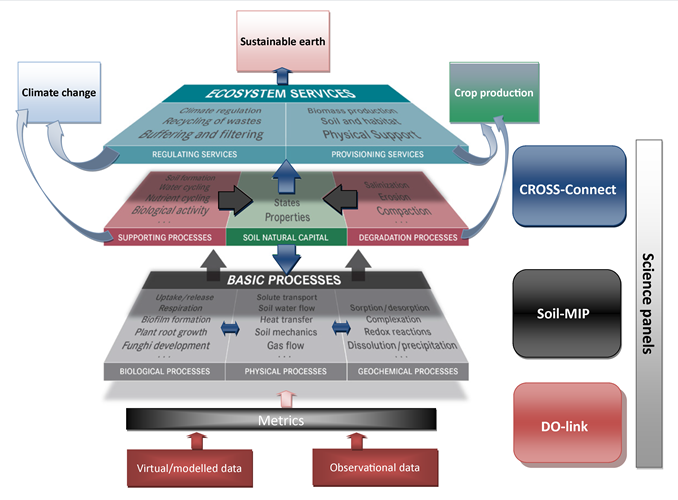 The data platform will try to overlook and synthesize data availability and integration into the soil system models. 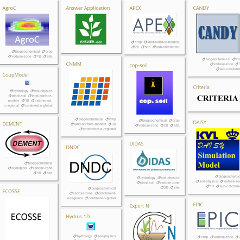 The model development and intercomparison platform will evaluate existing models and develop integration pathways. And finally the CROSS-connect panel will bridge multidisciplinarity and plan the outreach strategy to public, stakeholders and other scientific disciplines. The mission statements of the respective panels are described under the dedicated pages. The new work structure for the ISMC is presented schematically below, showing the science panel activities (represented with colours of arrows). The proposed actvities and objectives are more extensively described in the White paper: Vereecken et al. 2016, Vadose Zone Journal.